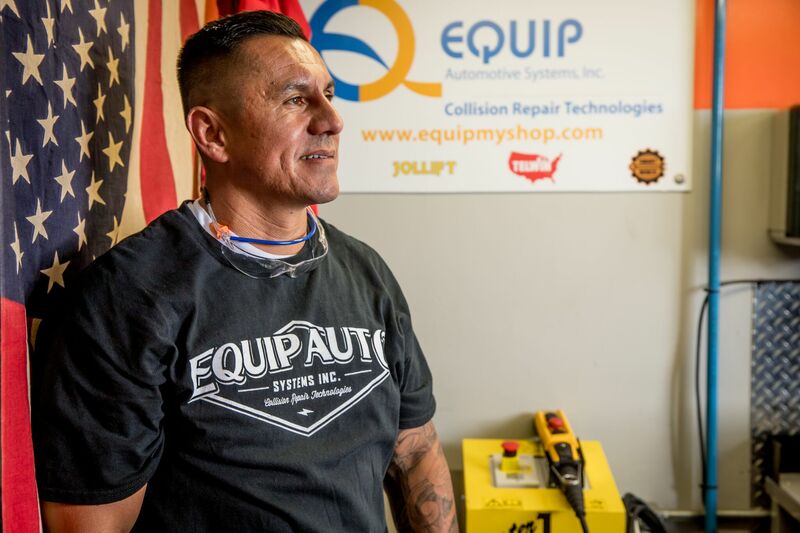 Equip Automotive Systems Inc. has earned a reputation for supplying collision repair facilities with top-quality equipment, excellent customer service and practical end-user training. Our mission and methodology are simple. We start by conducting a thorough analysis of the collision repair facility’s layout and practices. Then we interview key stakeholders to better understand existing and future business needs as well as operational strengths and weakness. We dissect the findings from our analysis and create a comprehensive plan for improving repair quality, efficiency and effectiveness. The key goal is to get results that go far beyond the shop’s current operational standard. Equip Automotive Systems, Inc. has earned a reputation for supplying collision repair facilities with top-quality equipment, excellent customer service and practical end-user training. Our mission and methodology are simple. We start by conducting a thorough analysis of the collision repair facility’s lay out and practices. Then we interview key stakeholders to better understand existing and future business needs as well as operational strengths and weakness. Years of hands-on collision repair experience, in-depth industry training and our success delivering time-tested solutions makes us uniquely qualified to evaluate a facility’s needs and to implement the ideal mix of equipment, work flow modifications and best practices training. Testimonials from shop owners and actual results from previous projects support our belief that we deliver winning solutions with long-term results. While independent repair facilities, groups of Collision Repair Centers and dealerships face a growing list of demands from insurance companies, government regulators and business partners, many shops find it hard to simply keeping up daily requirements in a challenging industry. We at Equip Automotive Systems are fully aware of these regulations and can devise a plan to help you overcome these challenges. Realizing maximum operational efficiency without sacrificing repair quality, customer service, or cycle times is the key to greater profitability and a growing business. Equip Automotive Systems has the expertise to do more than help a shop owner keep its “operational head” above water; we have a track record of achieving greater success, profitability and customer satisfaction.